EuroMayDay is an annual political day of action against precarity that takes place on May 1, coinciding with May Day. It is promoted as an “updated version” of the traditional May Day that focuses on struggling against the discrimination of working youth and migrants in Europe. Precarity is a widespread experience for many people in Europe. The term precarity refers to existence without security and predictability which affects material and/or psychological welfare. Specifically, it is often applied to underemployment. 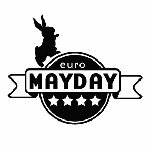 EuroMayDay was created in 2004 by a group of syndicalist and libertarian collectives. Since then, it has been spreading throughout the Europe as an international event in support of the rights of migrant and precarious people. It is aimed at fighting the widespread discrimination of migrants and precarization of youth in European countries. EuroMayDay is organized by a network of political, social and media activists, migrant associations, and labor unionists from different countries. It is actively promoted by anti-capitalist, feminist and migrant groups. EuroMayDay is celebrated with marches, parades and demonstrations, which gather thousands of people.